I’m a day late with my Saturday Smoothie post. 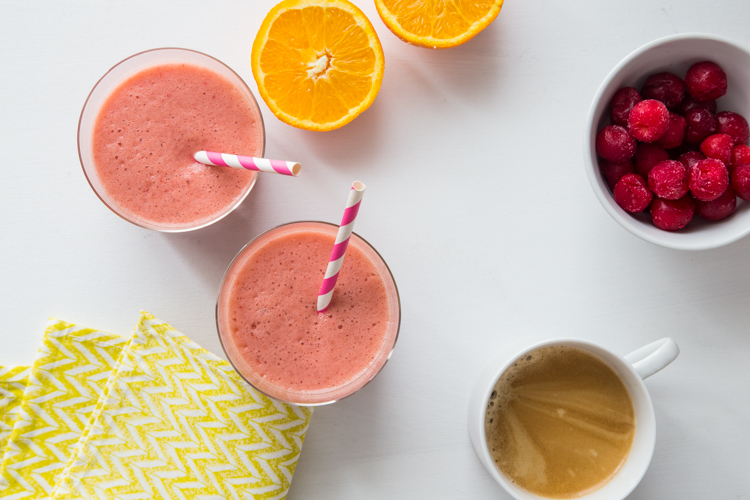 It’s a good thing that smoothies taste just as delicious on a Sunday! In fact, this tart cherry smoothie is pretty rock star any day of the week. There is a funny story about this smoothie, as I’ve been making it non stop for over a month. It originated as a green tart cherry smoothie and that tasted fabulous, plus I was getting a little added benefit from the spinach leaves I added. The problem was, it made for one of the ugliest smoothies I had ever made. This thing was completely unappealing to look at. (affiliate link) made it a little easier because it was harder to see the color, but the combination of red tart cherries and green spinach made for an off brown color that there was no coming back from. The biggest problem was the fact that this was possibly one of the very best tasting smoothies I had ever made. The looks didn’t match the taste and I knew if I was to sell this smoothie to my kids, I needed to nix the spinach. (affiliate link) in a long time. I figured I would just feed them the pretty pink tart cherry smoothie, which is full of so many vitamins and health benefits from the tart cherries, and just give them a salad on the side. That way the greens are covered, too. Is it weird that I want my food to look pretty? I’m all for eating things that are a little homely looking, however when it comes to food, I truly believe that you eat with your eyes first. 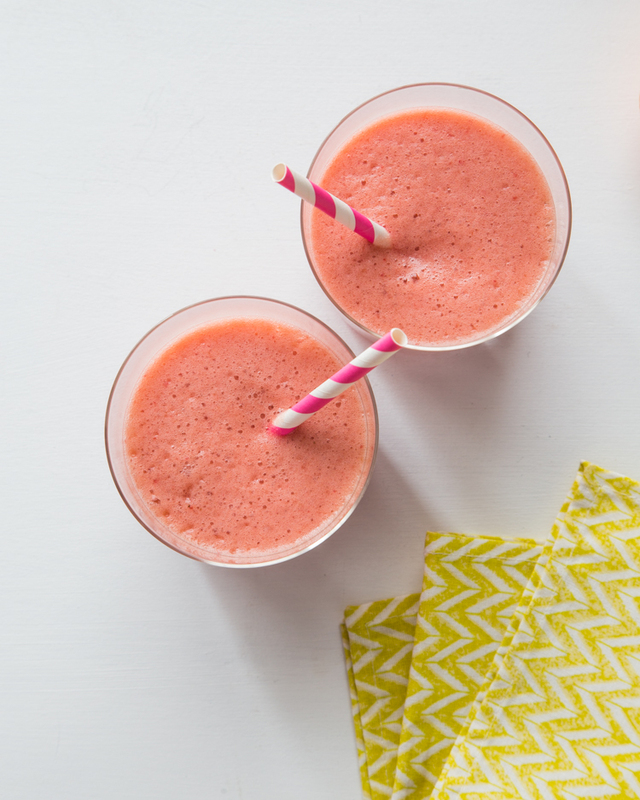 Tell me that you wouldn’t love to dive headfirst into this pink smoothie? And so fabulously delicious, with tart sweetness from the tart cherries, orange, apple and banana. I’ve come to start making this smoothie after doing my daily workouts. It’s a savior after leg day, with the tart cherries helping with my muscle recovery. I’ve actually been able to walk without looking like I just got off of a horse the next day if I drink one of these. It makes me look less wacky in school pick up line, that’s for sure. As a random subject change, I want to draw your attention to the fact that I’ve updated my subscription emails! 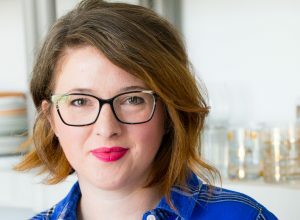 Recently I’d been experiencing trouble with my pesky emails not showing images, so with the help of Lindsay we have everything all fancied up in a brand new MailChimp email provider. That means the daily emails will be lovely and just plain work, which is what we need. If you don’t already subscribe, be sure to enter your email in the “subscribe by email” box right above my egg-y breakfast button near the top on the right hand side of this page. It’s super simple. After you enter your email address, you will receive a confirmation email from MailChimp asking you to confirm your email address. Just press on the button and you’re all set! You will be subscribed to receive every new Jelly Toast post right to your email. Easy Peasy. For those of you that already subscribe, you will automatically be receiving the new form of the JT emails. I have partnered with the Tart Cherry Marketing Institute however, I did not receive compensation for this post. I strongly believe in the benefits of tart cherries and am happy to share all recipes that I make that feature tart cherries. I hope you enjoy! Place all ingredients into a high powered blender and blend until completely smooth. Serve and enjoy! Tart cherries are THE BEST. Seriously wish they were easier to get here in the South! Aren’t they?! I like that you can pretty much find the dried anywhere, and usually stock up when I come across the frozen. They’re so good! Everyday is smoothie day at our house, so I’m loving your Saturday Smoothies! I’ve never tried tart cherries in a smoothie, so now I must! What a great idea! Thanks, Liren! I totally agree – we are a smoothie household, too. 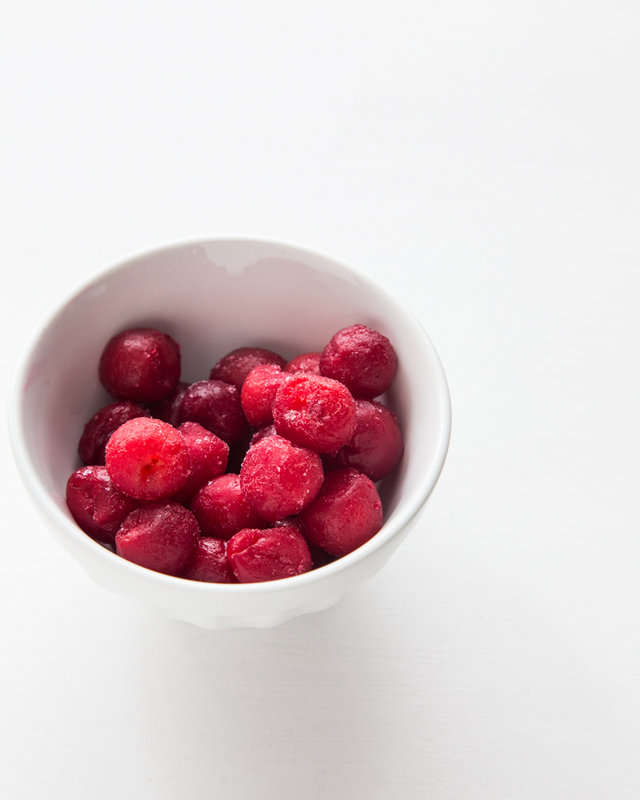 I love using the frozen tart cherries in smoothies because it cuts down on the amount of ice, plus you get the health benefits and awesome tart sweetness. And the color can’t be beat!